The septum in the nose is composed of both bone and cartilage. The front part of the septum is composed of cartilage, while the back portion of the septum is composed of bone. The septum is the dividing line between the left lane and right lane for breathing. For developmental reasons or trauma, the septum can become crooked, known as a deviated septum. Everyone has some degree of deviation of the nasal septum, but it’s the degree of septal deviation that creates airflow restriction. Airflow restriction can cause facial headaches, congestion, a chronic dry mouth and poor sleep habits and poor sinus drainage. A broken nose usually creates a deviated septum. When a deviated septum is present, patients are usually advised to try medical management first, before undergoing surgical management for nasal obstruction. Medical management includes cortisone nasal sprays, antihistamines, decongestants, allergy testing, allergy desensitization shots and environmental avoidance if allergies are detected. Once patients have failed medical therapy, consideration for a septoplasty is in order to improve airflow dynamics through the nose. Medical necessity must be documented at the time of examination and consultation by ENT doctor performing a thorough examination of the front and the back portion of the nose. A CAT scan of the sinuses will also determine whether or not there is any deviation of the septum present. A deviated septum is different than other causes of nasal obstruction such as chronic sinus infections, turbinate hypertrophy, valve collapse, and vestibular stenosis. Each one of these issues are treated differently with either medications or surgery. A septoplasty procedure is performed for medical necessity once patients have failed medical therapy. This procedure involved placing patients to sleep under a general anesthetic by a board certified anesthesiologist in our Medicare certified outpatient surgery center. Once patients are placed under general anesthesia, a small incision approximately ½ an inch long is made on the inside of the nose. The skin on the inside of the nose along the septum is elevated and the deviated, obstructing cartilage and bone is removed. Once the septum has been straightened, 2-3 dissolvable stitches are placed in the septum to close the incision. There is no packing or stents placed in the nose in our practice. 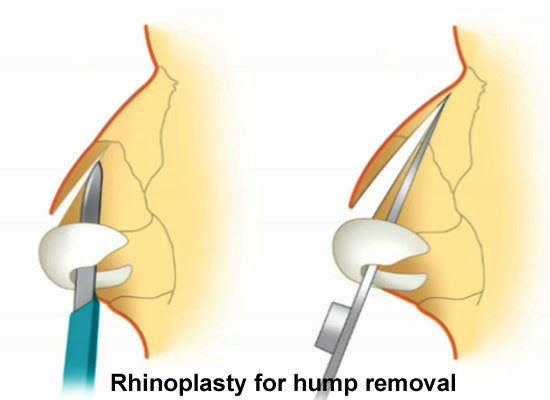 Because packing is not placed inside the nose, the septoplasty procedure is not painful afterwards. Patients experience moderate congestion and are unable to breathe out of their nose for at least one week. There is no visible bruising on the outside of the nose, since the surgery is performed totally on the inside of the nose. Patients must refrain from heavy exercise and blood thinners for 2 weeks after the surgical procedure. Full healing takes approximately one month. Patients experience improved airflow through the nose usually state that their snoring improved, they’re able to sleep better at night with their mouth closed, and are no longer having dry mouth when they wake up in the morning. Their sense of smell is better and they feel like they have more energy.